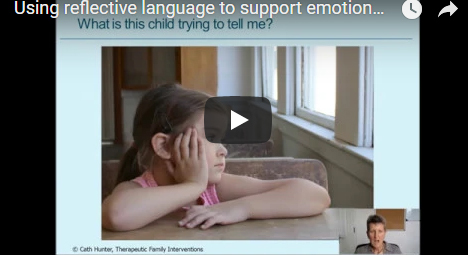 Therapeutic Family Interventions offers a variety of successful and innovative services designed to support the emotional health, well-being and behavioural challenges of children in schools. This is achieved by group and individual work with children, parents and staff. This child centred approach recognises that all children have different previous experiences and individual needs and offers a holistic approach to meeting these needs. Children use behaviour as a way of communicating and this can be expressed in a variety of ways. Parent’s and staff often ask for support at the point when a child’s behaviour is at crisis such as bullying, disengaging from learning, self harming, being quiet and withdrawn. I work to help parents, staff and children to find constructive ways of dealing with and communicating their emotional needs. Through staff consultations and training I help staff to recognise the early indicators that a child may require help and support them in putting in place appropriate intervention strategies. I offer both a whole school and smaller scale approaches to delivering a package of support to enable the child to make positive and lasting changes in their lives. The work I offer to parents enables them to understand their child and their needs more fully, as well as increasing their awareness of the impact that external circumstances such as domestic violence may have had on themselves and their child or children. The support I provide empowers them to make important changes and facilitates a deeper understanding of their child resulting in an improved relationship being developed and sustained. The range of support services I offer to schools enables the staff team to develop a deeper knowledge of the reasons behind children’s behaviour, have a heightened awareness of what they may be trying to communicate by their behaviour and have a wealth of strategies to implement. This results in increased staff confidence, raises self esteem and develops personal resilience. Over time this impacts on the emotional health and wellbeing of the whole school.